British Columbia, Canada Public records released this fall show that for a second time, the Canadian Government paid millions dollars to K & L Land Partnership for "compensation in environmental damages." The latest payment of $4.4 million comes just one year after it reached a legal settlement with the group for $11 million to avoid going to trial over claims it was negligent in failing to warn the developers about UXO on the property. Federal officials are not saying exactly why K & L Land Partnership received this second payout due to a confidentially agreement in place. Back in 2005, K & L Land Partnership (a group 11 companies) purchased 1,349 acres of undeveloped land overlooking Lake Kalamalka near Vernon, B.C for $15 million dollars. 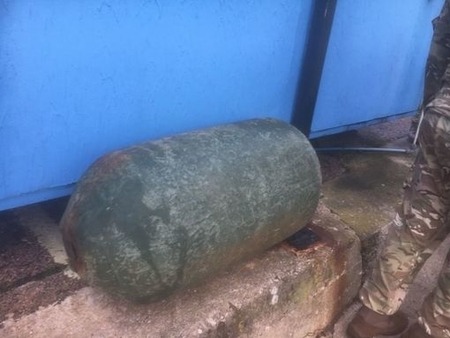 Peterborough, United Kingdom An EOD team from RAF Wittering responded to a site on High Street after reports that a set of four WWII era 40mm anti-aircraft rounds had been unearthed. 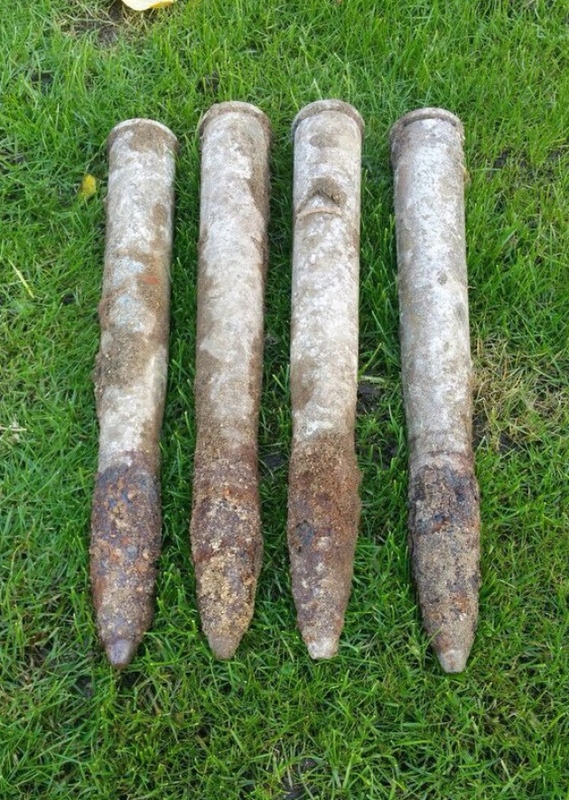 EOD safely relocated the rounds to a nearby field and carried out a controlled disposal operation. A search of the area did not reveal any additional ordnance items. Brixham, England A beach area was evacuated after potential UXO washed up near the breakwater in Brixham. A Navy EOD team was called who arrived to investigate the item. EOD identified as the item as a flagpole anchor weight, The beach was re-opened to the public. 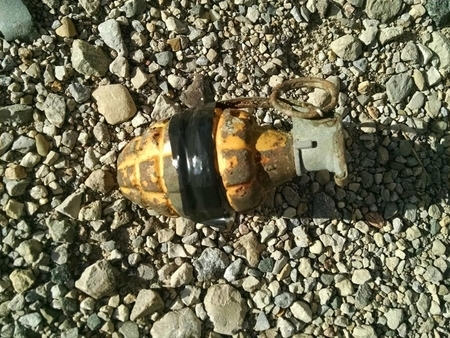 Fisherman's Tale Had Us, Hook Line and "Grenade"
Middletown, Ohio A grenade was found in the Great Miami River by a fly fisherman who was standing almost 20 feet from shore in 2 feet of water. Fortunately, the fisherman was recognized the device for what it was and contacted local police who responded with technical support provided by the Butler County Sheriff's Office Bomb Squad. 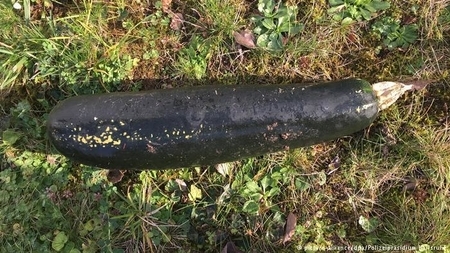 A spokesman described the device as an "old pineapple grenade" and indicated that the device was still live.